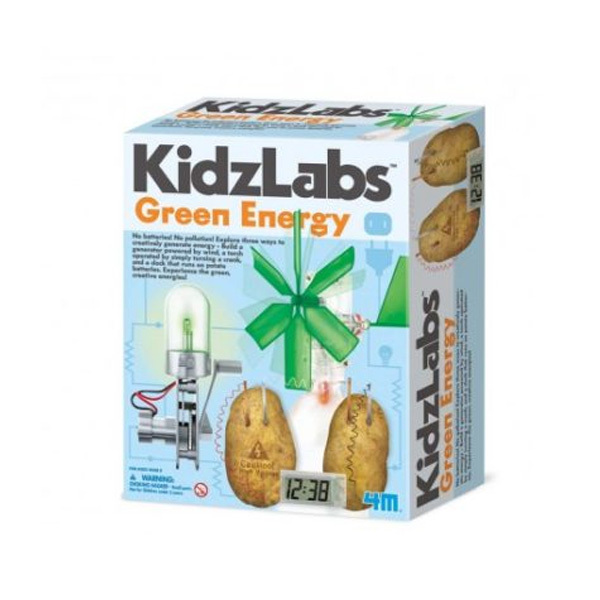 Explore three ways to creatively generate energy – build a generator powered by wind, a torch operated by simply turning a crank, and a clock that runs on potato batteries. Experiences the green, creative energy. Also required but not included: potatoes, a crosshead screw-driver and a used drinks bottle. Help your child learn more about the forces of green energy and how it offers a way to power homes, vehicles or businesses without using fossil fuels. By using renewable energy sources, we also reduce our dependence on fossil fuel gas and oil reserves. For ages 8 and over. not suitable for children under 3 years old due to small parts. Adult guidance recommended.